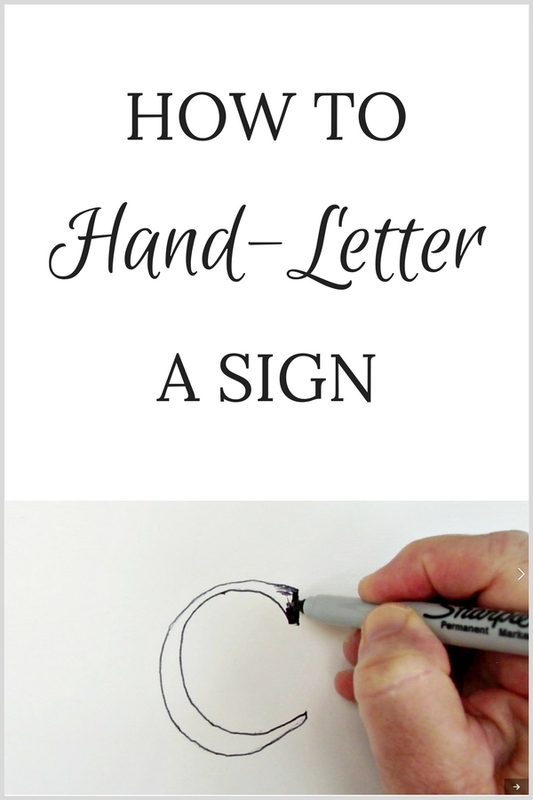 Learn how to hand-letter a sign with this detailed tutorial that includes video! 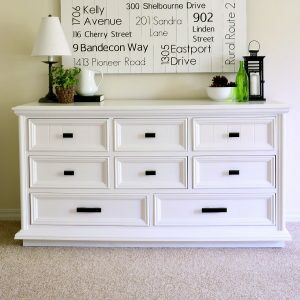 This is a very affordable way to make meaningful wall art for your home! I love wall art that’s meaningful. Of course, great pictures of my grandkids would top my list of favorite wall art, but I also love making wall art that means something to our family. 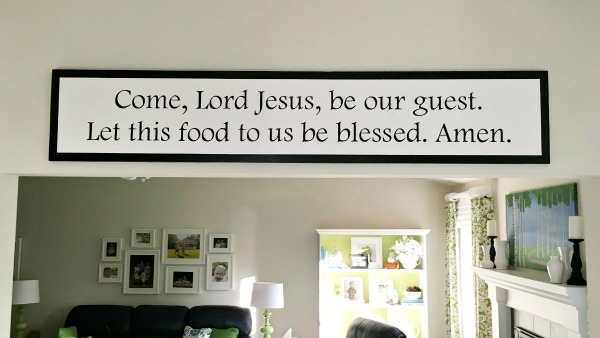 Today, I’m sharing a sign that I made for our dining room. I love how it turned out! The blessing that I hand-lettered onto the sign, is the same blessing that my family said before every family meal while I was growing up. It’s also the blessing that my husband, kids and I said before our family meals, and I just found out that my daughter has been teaching our grandchildren to say it before their meals. So, it has a lot of meaning for us! This sign was very inexpensive to make – I already had all of the supplies for it except the carbon paper! So, if you have a quote or saying that your would like to make a sign for, this is a great way to do it without spending a lot of money. So, let’s get started! 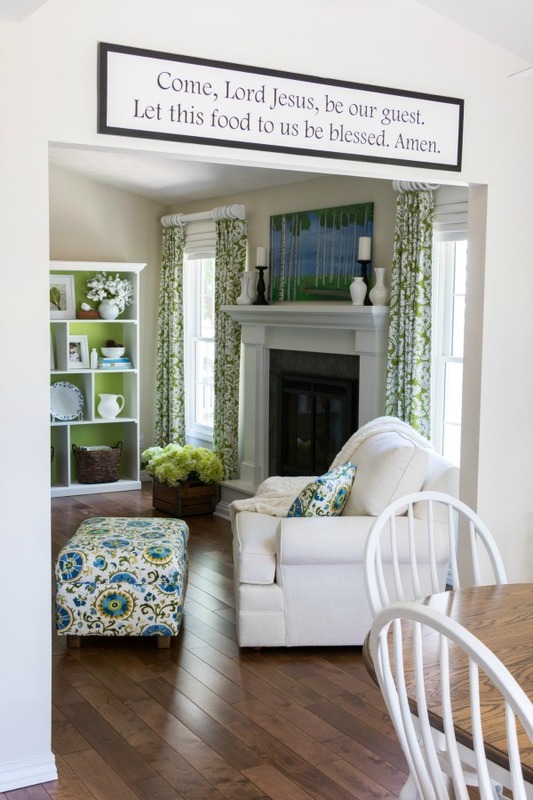 A 1 x board the width and length you would like for your wall area. Paint – I used white paint for the background of the sign, and black for a border around the edge. I’ve created a video to show how I made our hand-lettered sign, I’ve also written out the steps below the video. Cut the board to the length you want for your sign. Paint the board, and let it dry. Optional step: Create a border around the edges of the board by taping off 1″. Paint the border and the edges of the board. Lay the paper with the letters face side down on a surface, and then tape the carbon paper to the backside of the letters, making sure that the lightest side of the carbon paper is next to the backside of the paper – the darkest side of the carbon paper will be facing up. Lay the pieces of paper and the carbon paper that are all taped together onto your board with the letters face up. Trace around the letters. Tip: My sign has two rows of words, so I did the first row first, and then the second row so I wouldn’t smudge the outline of the letters. Take the paper and carbon paper off of the board. Outline the letters with a Sharpie fine-point marker. (I tried outlining and filling in the letters with paint and a small brush, but I found that I had a lot more control with the Sharpie markers. After you’re done outlining the letters, fill in each letter. This is where you want to put on some good music, and just zone out. It can take a while to fill in all of your letters. After you’ve hand-lettered the first row of letters, then do each of the next rows of letters if you have them. Install one or two picture hangers on the back of your board, and hang on the wall. Enjoy! I hope you’ve enjoyed this tutorial for how to hand-letter a sign! 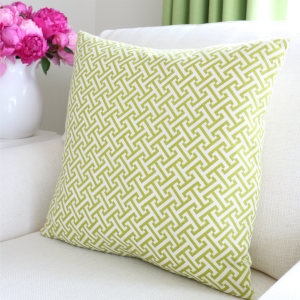 Have you made meaningful wall art for your home? I’d love to hear about it!